What About Rheumatoid Arthritis Pictures? Do you think about your appointment with the rheumatologist before you go? About what you’ll ask or tell him (or her) when you see him? Over the months, I save up the concerns and the questions. This time, I also saved up my Rheumatoid Arthritis pictures. In the beginning, the podiatrist saw my misshapen feet with the toes pointing 90 degrees to all sides. But by the time I got to the rheumatology doctor, the swelling was much less. It never occurred to me to take pictures of the Rheumatoid Arthritis. Is a Rheumatoid Arthritis picture worth 3 words: I still hurt? Last week the back specialist told me I don’t look like I have RA. I don’t want to look sick, so I did try pretty hard to clean up. It was the first time I’d been able to wash my hair in 2 weeks. Over the last few months, I finally began to take pictures of my joints or rashes or swelling. Of course, I can’t get all the pain to show up in pictures, so it’s still disappointing. I haven’t gone off all treatment so that I could get better RA pictures. But with guys like that back doctor, that crazy thought crossed my mind. I’ve written before that it would be really helpful if pain were a color – like they color it on medical illustrations. I’ve actually thought of using colored markers to tattoo my pain onto my body like a map for the doc. “Doc, can you see where it hurts now?” I still think I’ll do that. Don’t worry I won’t forget to take pictures. Over the last several months, some lovely people have been sending me their Rheumatoid Arthritis pictures unsolicited. It has been moving to receive them since each one of them has asked me to “use these Rheumatoid Arthritis pictures to show the truth about RA or help the cause.” I’ve planned to use them on a Rheumatoid Arthritis Pictures Page here on the website. I’m working on that page now, so if you’d like to add a Rheumatoid Arthritis picture of your own, please email it to me kelly@ rawarrior.com. There will be no names on the page, and no one will be able to identify your hand or whatever joint you photograph. I promise I’ll find the best way possible to use it to help our cause. 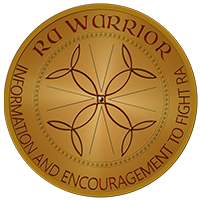 My lovely daughter Katie Beth has set up a great new sign up page for the upcoming Rheumatoid Arthritis Warrior Newsletter. To sign up, click here. Have any of your letters to Woman’s Day been answered? Please let me know. If you haven’t seen my video or written to Woman’s Day, please click here. 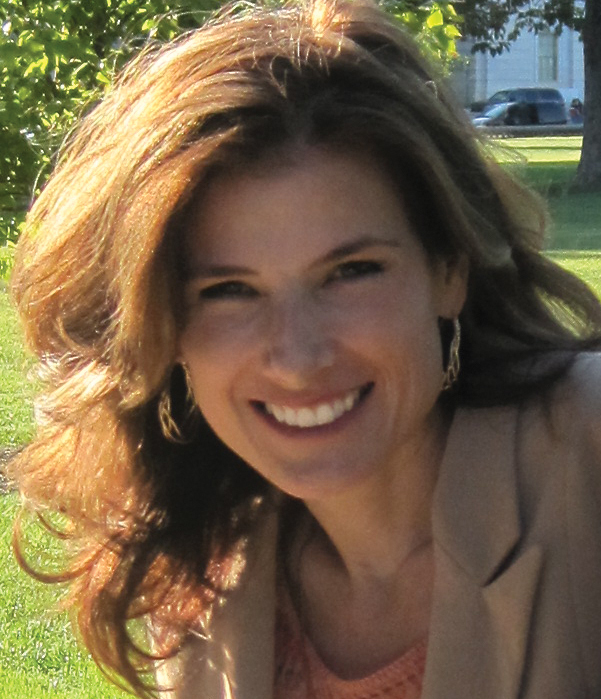 What if Rheumatoid Arthritis Patients Wrote a Dear Doctor Letter? Win a T-shirt Dealing with Rheumatoid Arthritis! I’ve never thought of that either……what a great idea!!! BTW….so sorry you had that experience with the back doc……I know how that feels……sad state of mind that some of our health-care professionals have at times!!! From what I’ve heard, it is because he is an orthopedist. That comment came from another rheum doc who thinks orthopedists are confused about RA. I’ve read studies saying GP’s are too. We need to educate the public at large. Maybe the pictures will help. It’s so funny that this posted today, as I spent some time yesterday evening photographing the various parts of me that weren’t swollen, for comparison purposes when I am swollen. I don’t swell a whole lot; in fact most people cannot tell that I am, but there is a definite difference if you look closely. I wanted photographic evidence of both swollen & not swollen. So sad that the thought of not taking meds crosses our minds, but in fact it did cross mine as well. I’ve actually not taken my first motrin dose until AFTER my rheumy appt. on several occasions. I think I need to get those pics I have and print them again or somehow show the doc. They may be out of date, but I still look like that off and on….and as I’ve said before, I am NEVER swollen when I go to the doc….it’s like an unwritten law. Hope your appt. was a productive one! Yes, always w/ the NSAIDs I wait until after the doc has seen me. I walk out of office saying, gimme something for this pain. But never before have I done it w/ the dmard. I’d really do it, but for the breathing difficulty I encounter from my larynx when I go off mtx. Too dangerous. Kelly, I forgot to mention about the women’s day article…I just read that recently and would like to send some feedback (even though I’m not a woman, my opinion with everyone else’s might make some difference). Do you have an organized way of doing so? If so how, and if not, what’s the best way for me to give them a piece of my mind?? Please do write them. Lots of men have been participating. I am sure that there are men who work at the magazine. And there are men w/ RA. So, yes! Below the video are the addresses to use to write to them. I used all of them. Click here. Oh God. I know this one….”Last week the back specialist told me I don’t look like I have RA”….way too well. When I went to the vascular surgeon for my initial consult to get my infustion port implanted, that was his first comment. Between that, and the fact he planted the damn thing in MY CLEAVAGE made me really happy I wasn’t going to be a regular patient of his. Oh, yeah. Also loved the initial primary care doc who insisted that I had osteo arthritis in my hands from typing on a computer (!!! ), and commented when I told him my fingers hurt, looked at my late mother’s antique diamond ring on my hand and said “that’s why your fingers hurt, from carrying that big rock”. Needless to say, he didn’t remain my PCP much longer…. Doctors can be *so* clueless. Roberta, that would have made me mad, too. How long do you have to have it there before you need to change it? The worst one is when they say about a symptom, “Oh I have that too…” We expect that minimizing from our neighbors, but not from docs? Why are some of these clowns doctors? Unless the ports malfunction, they keep them where they’re originally implanted. Supposedly good for over a thousand infusions. It’s completely under the skin, but you can see a rather largish lump, probably about an inch in diameter, as well as the scar. One of my 40-something friends told me to say it’s just a very large body piercing…. Some day,in the not-too-distant-future, I envision a hand-held device(ala: StarTrek) that the rheums can bring into the exam room, pass over our inflammed bodies, and say “Ah,yes,I can see exactly where you have pain and inflammation!” And then, treat it with quick-acting, effective meds. Sure wish I thoght to take pics of my joints when I first developed RA 9 months ago. I was so swollen when I finally went to see my family doctor and fortunately she had just seen me a couple of weeks before for a “well check.” I was complaining of fatique. She could see the 16lbs I gained in that time and sent me to a Rheumy right away. He was unimpressed with my weight gain as a women in my late 50’s he just assumed I had a little extra pounds on me (My ht 5’8 and wt 148 usually) was not believed by him. But he did suggest I go for blood tests and noticed some swolleness in my fingers. (It was everywhere). Eventually I fired him, but boy o boy I wish I had thought to take pictures. Great idea. May I be so rude as to ask a question…about your feet?? Im assuming the feet pics above are yours (with the red nail varnish) I just wanted to ask is that a ‘bunionette’ or ‘tailors bunion’ on your baby toe? 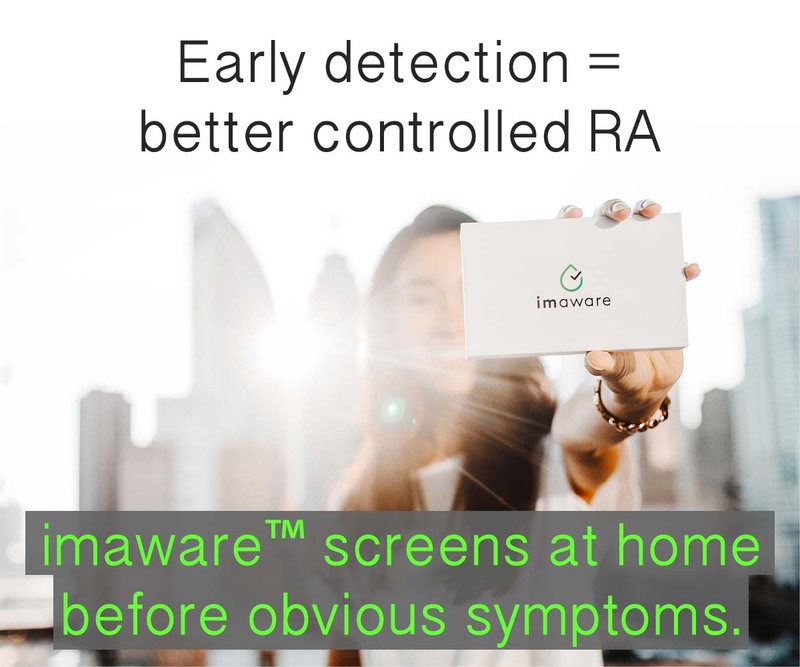 and if so is it a result of RA? yes those are my feet. both feet have the bunion on both sides. it does look pretty “normal” I’m told when not swollen, but does not look anything like what my feet looked like before. Yes, I’m sorry if I wasn’t clear. My toes all changed literally overnight when the rheumatoid became full blown. It was sudden and painful. They vary from day to day, but never look like they did before that winter day 8 yrs ago. The outer toes turn in, in a bunion manner & the inner ones bend over in a hammer toe way. There are rocks under the skin on the bottom. I know I’m “lucky” so far since I’ve seen it could be much worse. I see, i have always had my ‘curly toes ‘ thats what hammer toes must start off like then? Sorry to keep going on about your feet, haha! I just noticed that that pic looked really similar to mine exept the bunionette thing is red and had a massive corn under it and a ‘soft’ corn on inner 4th toe cos 5th is leaning in on it..lovely eh? id like to think my face makes up fot it though..lol! Sorry this is the wrong place to ask, i also dont know how to start a topic, do i email you? I have been following you & receiving newsletters. I was wondering what meds you are taking for your RA. I am at my wits end as I have tried everything. Xeljanz is not covered on my insurance, I am 63 & on disability so I have the $4750 to pay which is why I stopped the actemra in jan. Since then my pinky finger has take a dive off to the side.i have a lot of swelling in hands & feet. Just had a surgery on my foot. My big toe was in such bad shape that my rheumatologist cursed when he saw it. The future may be cutting half my big toe off. I am starting to get a hopeless feeling. I have stayed positive for the 20 yrs I’ve had this but since I have tried so many meds that didn’t help it’s getting scary. Thoughts ? Maybe you know a way to get the latest without such cost ? Thank you. God bless you & your daughter for all you do. Kelly, I saw these pictures you posted and my toes look just like yours! I about fell over because I thought I just had very strange feet. Now I feel it’s the RD that makes them look this way. I too take pictures of my painful swollen joints only sometimes on pictures it doesn’t show the extent of it. Out of the blue I woke up one morning about a week ago with my right first finger knuckle at the base if my hand so painful and swollen it felt like I broke my hand! I still cannot bend that finger back at all. It just happened over night! I would love to send a few pictures for you to use. I truly enjoy reading your newsletters. Thanks for all you do!